The goal of this project is to express emotional data through a procedural facial model and develop a set of emotive behaviours. The primary mode of behaviour is the staring state- the facial model maintains eye contact with the viewer by drawing a vector between the user's xyz coordinate (in this case provided by the results of tensorflow posenet. This results in a feeling of being "watched" by the screen. Movements around the room are continuously monitored by the watchful eyes of the face. Additional facial tilting/rotating animation is provided by random numbers generated by an impulse. Expressions are achieved by +/- rotation of facial geometry. The aim is to develop an blendable emotional control system that models facial expressions captured from a user. I speak more about this system here. The atomic clock is a prototype for a smart-clock designed for K-12 school rooms where bored students might absorb the information on the clock by osmosis. By encoding information into the clock's face, it has the potential to teach its viewers the fundamentals of atomic physics. It does this by representing the current time using elements and their corresponding atomic numbers. This idea could be extended to any data set by correlating a piece of information with integer. The clock also displays the month and year on two additional dials. Option to configure to display average lifespan of user. 3D structural models of atomic elements. A forced perspective component for aFrame. Create the illusion of depth by transforming a virtual camera using mobile device orientation data. This is achieved by mapping the rotation of the phone on two axis' to a virtual camera. Augment human perception by displaying possible moves, vulnerable pieces, and relevant geometry. Automate capture of real world chess games. There are countless chess engines available to play with on a computer, but none of these systems interface with real-world chess boards. Other solutions involve integrated circuits in the game board and specially manufactured pieces. 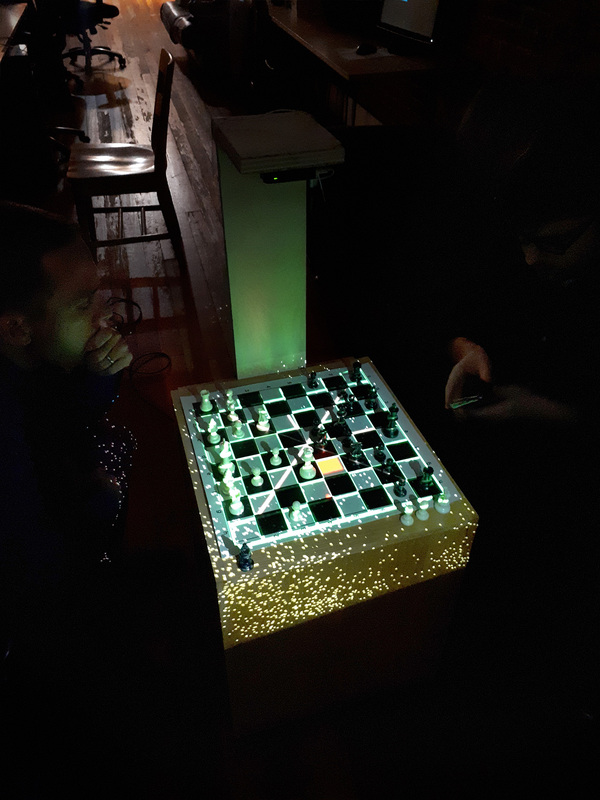 The goal of this system is to make chess capture and display available without manufacturing. 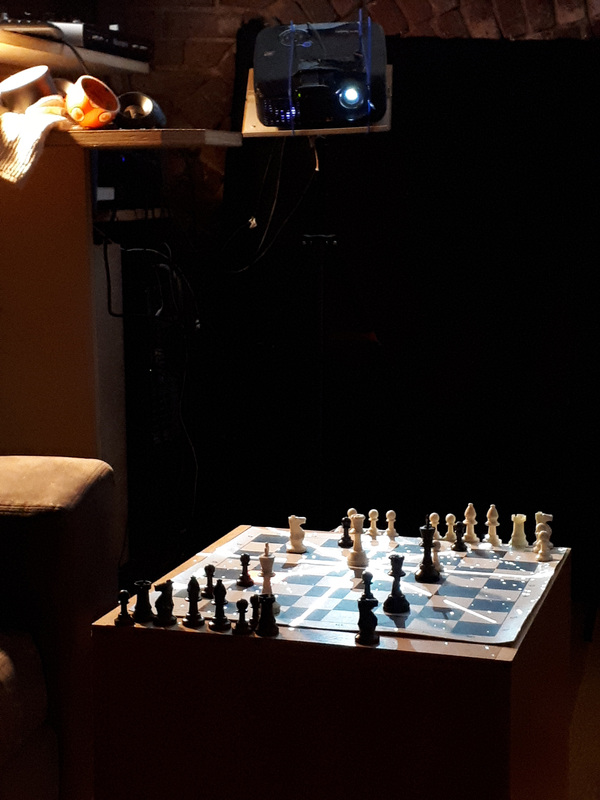 A digital chess board is calibrated to the real board using an htc vive controller, allowing for tilting and scaling of the digital board. Piece positions are captured using neural chessboard and imported into chess.py. 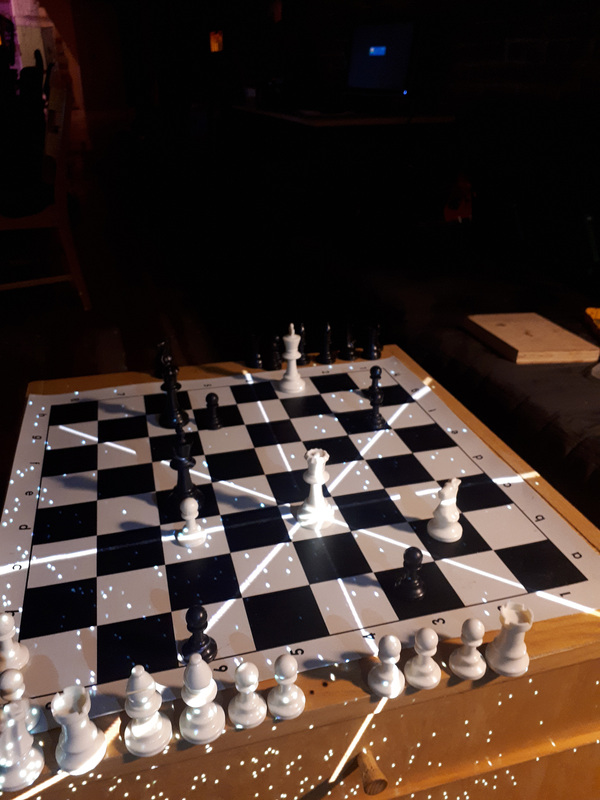 Resulting vulnerabilities and potential moves are fed into Touchdesigner and projected back on the board, augmenting human vision and perception of threat.